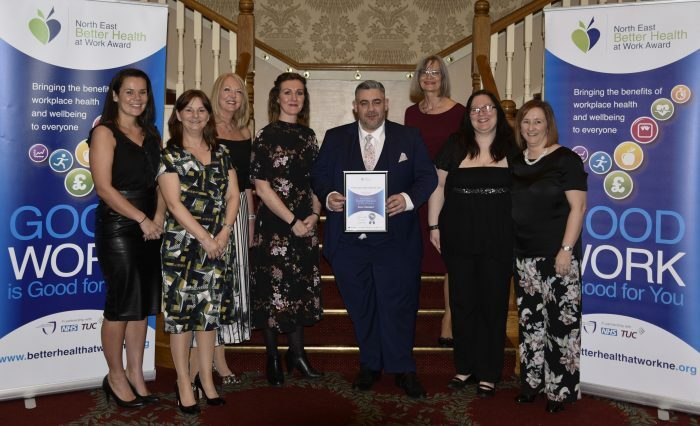 A group of Chemoxy members attended the BHAW Awards evening Gisborough Hall collecting the Silver Award after passing the assessment for Better Health At Work 2017. This is Chemoxy’s second year applying the BHAW award, achieving Bronze in its first year, which is the maximum award for a first time applicant. The Chemoxy team worked very hard to achieve the silver award and plan to continue offering practical support and demonstrating our commitment to the philosophy. Chemoxy believe a healthy workspace has considerable benefits for not just the employee, but for their family and the company. At Chemoxy it is important that we give our co-workers the right tools for the job to enable them to make healthy choices and informed decisions. We focus on healthy messages and activities that are evidence-based, sustainable and can make a big difference to improving our employees physical and mental health.